Find Me a Dentist Near Me – Dr. Peter Castellana – So, you’re enjoying the cold winter night, munching on the last spoon of dessert and then you suddenly feel a searing toothache. The pain is so unbearable that you can’t even finish the dessert and you have to take some ice cubes to ensure that the area around that tooth is numb enough to make the pain go away. If this has happened to you a couple of times before but you did not pay attention, you should now. Dental problems are very painful and you will not be able to eat or drink if the pain persists. That is why it is wise to get in touch with a reliable dentist as soon as possible. And, when it comes to finding a reliable dentist in New York, you can’t go wrong with choosing Dr. Peter Castellana. We understand that your teeth are extremely important for your self-confidence because that is a personality trait that many people depend on. Moreover, oral health is something that we have always focused on. You can rely on us to fix your teeth in the best possible way so that you don’t feel any pain during and after the appropriate procedure. You may have tried and tested several dentists before but if you are looking to findme a dentist near me who will suggest the best treatment for your oral health, then you can rely on Dr. Peter Castellana. Starting from dental cleaning and whitening to everyday dental care and other dental care services like root canal or dental implants, we are your go-to dentist in New York. There are times when you are in so much pain that you don’t know which dentist to contact. After your initial consultation with Dr. Peter Castellana, you won’t ever need to find me a dentist near me again. One of the reasons why we have become the leading dentists in New York is that we are passionate about the oral health of our patients. We believe that your smile can go a long way and we can go to any extent to ensure that you can retain your smile. The dental team that we have is one of the most experienced in the dental field. Our motto is to inform the patient about the condition of their teeth. This will help you to understand our logic behind the treatment that we suggest. Don’t worry, we will not suggest anything that will cost a fortune or will be very painful. You can always visit our website to find the various types of services that we provide. It will be best if you can consult with our team about the problem that you are facing so that we can suggest the best treatment to make sure that your oral health is up to the mark. New York has several dental clinics, but most of them lack the variety of services or are located at places that you may not be able to reach at the time of an emergency. Dr. Peter Castellana has made sure that the location of the clinic is at a prime spot in New York so that patients can come in whenever they want during the office hours. 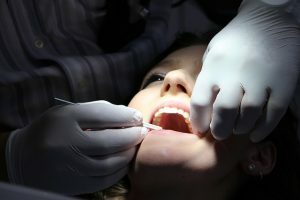 We have always focused on how to improve on the dental services that we provide to the patients and this determination has helped us come up with new techniques that offer dental treatments that are almost painless. Kids have various dental problems when they are young and we suggest that you bring them to us. Our dentists will diagnose their oral health so that they don’t face any major oral problems when they grow old. Not just kids, everyone who has a problem with their teeth are welcome to visit our New York clinic. We will be more than happy to suggest the best treatment for everyone. Dr. Peter Castellana has fast become one of the most renowned dental clinics in New York. So, if you ever want to findme a dentist near me, give us a call at (212) 544-5550 and we will make sure that there is an experienced dentist appointed at your service.